The Ruach Foxy Lady 1 Pedal Board is the smallest board in the Foxy Lady range. 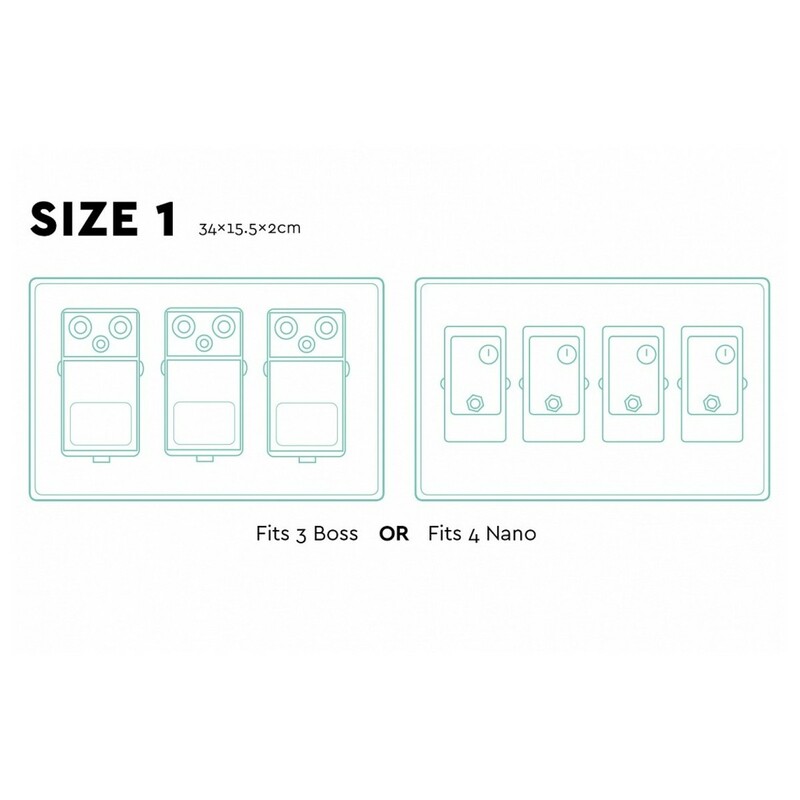 The board accommodates up to 3 large pedals or 4 nano pedals of your choice. A mixture of mahogany and ash hardwoods have been used, offering enhanced stability and durability. 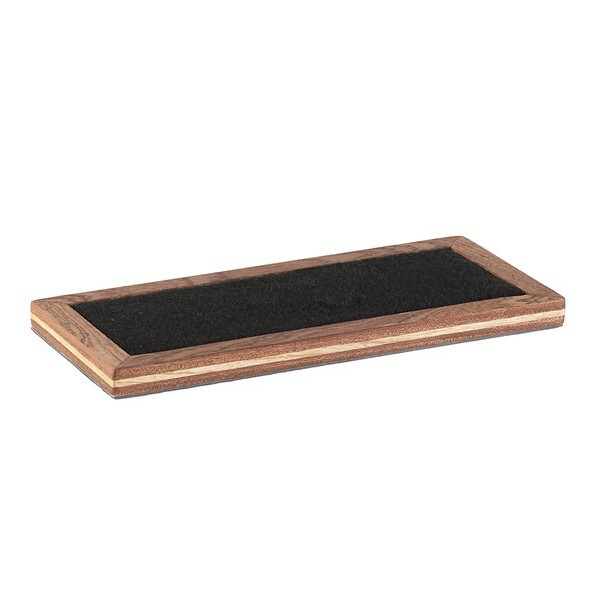 With a hand rubbed oil finish, the board is ideal for any travelling or gigging musicians. 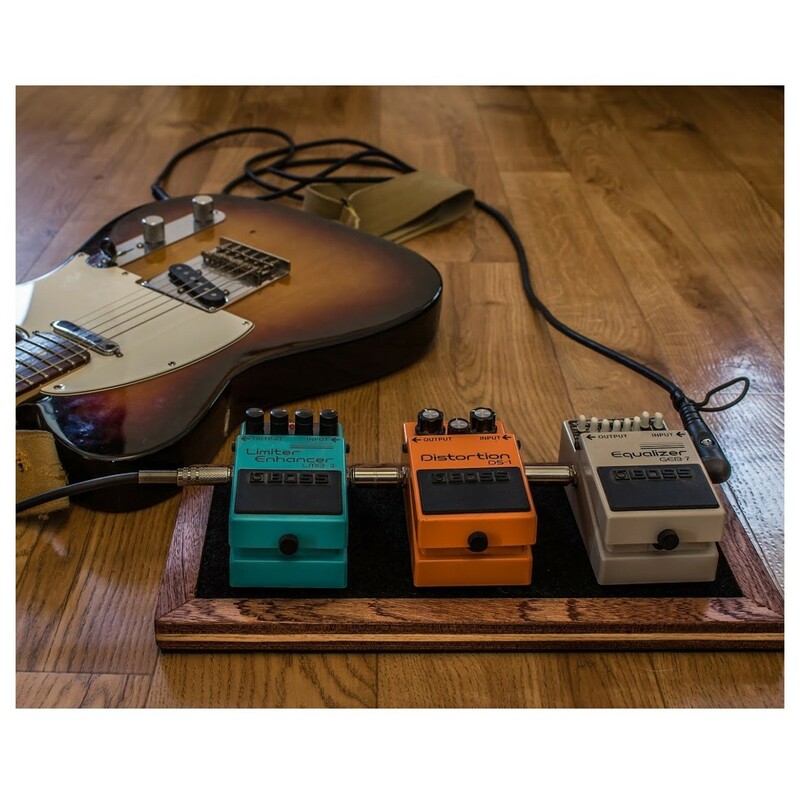 The Ruach Foxy Lady 1 Pedal Board is a compact guitar effects pedal board, designed to simplify your pedal management and allow you to focus on your music. The board features a mahogany and ash construction with a hand rubbed oil finish, offering a stunning look whilst maintaining high-durability to survive the rigours of the road. The non-slip base is perfect for use on any floor material, offering a stable and well-balanced foundation for your pedals. With the option to mount up to 3 large pedals, or 4 nano pedals, the Foxy Lady 1 Pedal Board is the perfect board for any travelling or gigging musician. 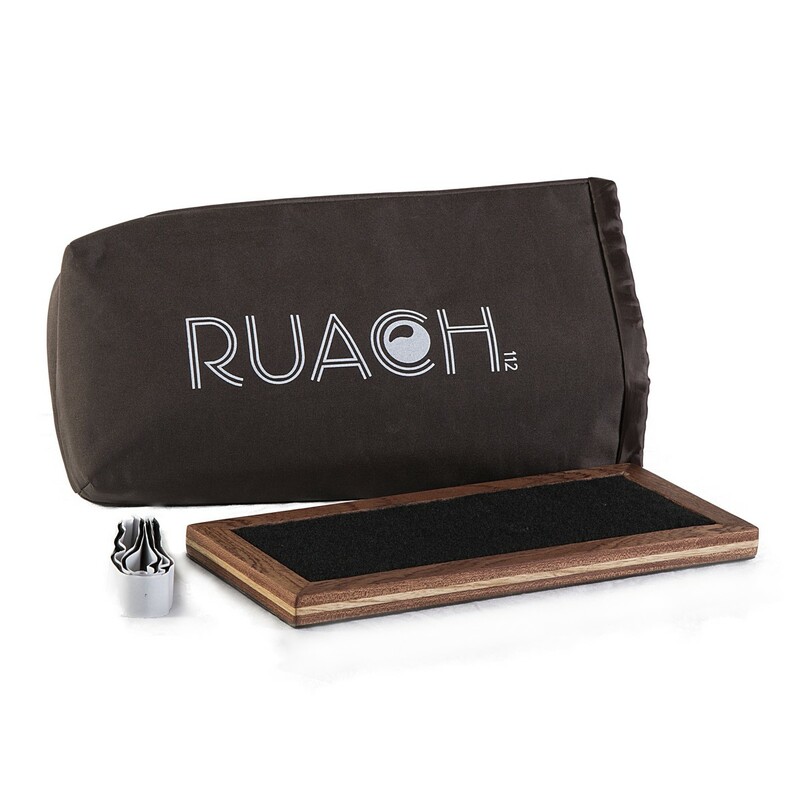 Ruach Pedal Boards are hand-built in Northern Ireland using the finest hardwoods and materials for unparalleled performance and substantial durability. The Foxy Lady series boards all feature a classic hand-made design with a layered oil-based finish. Ruach are following the “Ruach Breathe” initiative, focusing on producing their instruments with respect for the world around us. The idea is to craft instruments that musicians desire, whilst minimising the companies carbon footprint. Ruach are implementing the physicality of their proposition by planting a tree for every pedal board purchased. Ruach is a musical company based in Northern Ireland, with the aim of providing musicians around the world with the instruments they love. The company began by producing cajons, but quickly noticed the gap in the market, taking the opportunity to jump into the production of pedal boards, stompboxes, and more. Using nothing but the finest materials, Ruach craft all of their products by hand, offering superior build quality and performance whilst giving you the knowledge that no two products are ever the same. Ruach are always developing their designs and manufacturing techniques whilst following the “Ruach Breathe” initiative which focuses on minimising the companies carbon footprint. Despite being a small company, Ruach are growing fast and beginning to distribute more and more of their high-quality instruments around the world. Whilst manufacturing their instruments, Ruach prioritise their customers, listening to them as well as the market and the global music community as a whole.